At Perkins Subaru we love what we do and on occaision we get to experience long term test drives with our products. 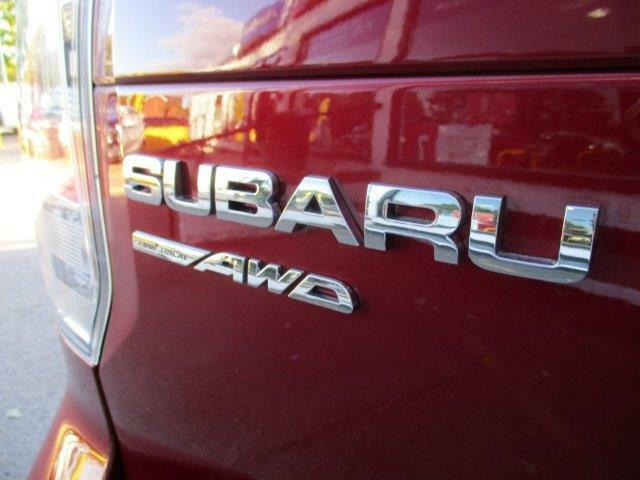 It helps us help you in making the right decision to your next New or Nearly New Subaru. So as we are just taking off fleet our Forester XT Demonsrator we thought you might like to read our thoughts too...along with other road testers of course. This particular car has now been sold but we of course have cars for you to choose from in stock today. All Wheel Drive Drivetrain with Active Torque Split AWD system with 3 throttle maps -- Intellegent / Sport and Sport # - 6 and 8 spd Gearbox options with manual Paddleshifters. Boot Volume on XT is 488Lit2 - MacPherson Front Suspension with Double Wishbone Rear with Ventilated Front and Rear Disc Brakes. My previous vehicle was a Ford Mustang V8 so there could not be a more different vehicle to experience this time around (lucky I know). 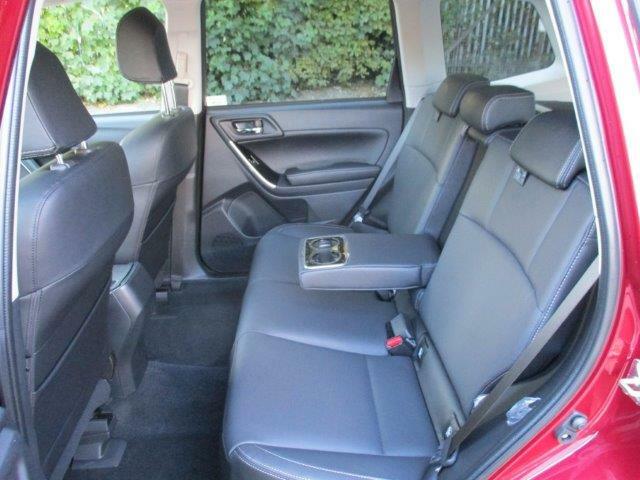 So apart from being hugely practical all of a sudden, with mega headroom and leg room front and rear as well as some nice boot space, this car has a serenity that other SUV / 4X4 vehicles in other marques don't have in this price range. Effortless power delivery at any speed. The Lineartronic Automatic gearbox has undetectable gearchanges, really, it does just feel like it's go or stop, no gaps, no struggling to find the right gear on overtaking or approaching and pulling out of T- Junctions and roundabouts, super quick response and drivability. Well worth trying out one for yourself. We averaged ,between my wife and myself, an average fuel consumption of 29.9 over 6000 miles. This includes a "all in one day" drive to Northern Spain from Great Dunmow to Nr Barcelona, all in all a 990 mile trip at an average of 34.6 mpg at around 130kph most of the way. There was a little traffic around Lyon for an hour or so but I thought not bad at all for the power available and a 2.0i Turbo charged petrol AWD all rounder with the luggage and 2 kids...not bad at all. It just hit a sweet spot in the drive and because of the torque curve, it felt like easy cruising was one of the jobs for the car designers when putting this car together. An engaging and thoughful car to drive. I love the technology too. OK so Heated Seats with 2 temperatures suit myself and my other half of course along with the dual zone climate control....it's not just our household that runs at two different temperatures I'm sure but very handy to have that control available. 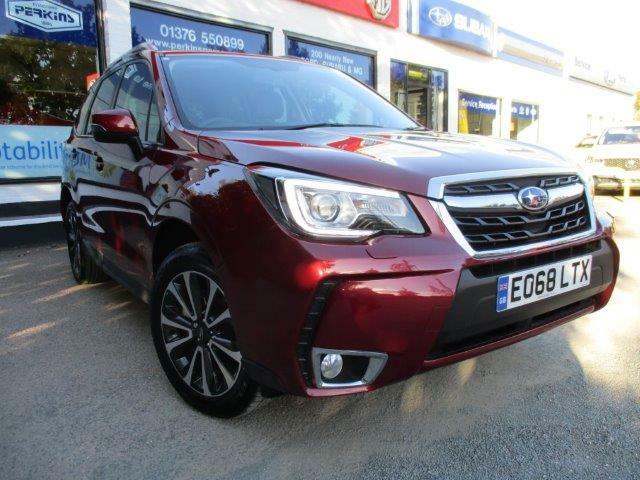 The controls have a lightness and quality feel to touch and operate and durability on the Forester is paramount to Subaru. They definately have got that bit right. Memory Drivers seat also comes in handy for 2 drivers different heights and legs along with rather well thought out sunblinds that stretch across the width of the front screen. Very clever. So, not a fan of a sunroof myself ( I remember how much they used to leak in the 80's) but the Panoramic Glass roof in the XT is adored by the children and my Wife. In warmer weather and low speed cruising its just lovely to open and enjoy , it kind of feels like a different car when open and certainly does change the mood in the cockpit...apparently I drive slower with it open, which makes the rest of the car happier. 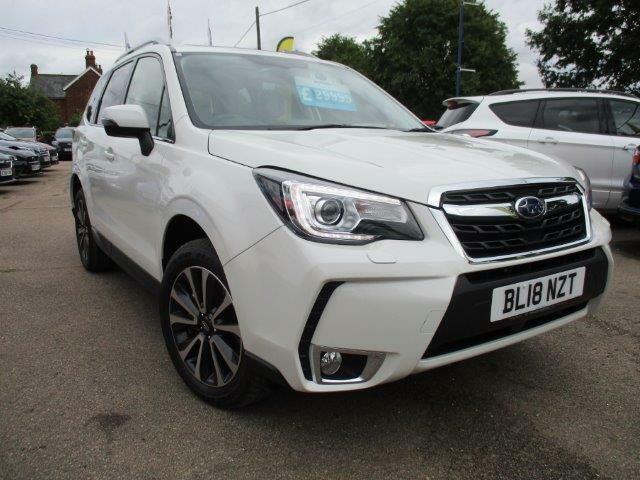 One of the the main goals for Subaru UK in 2018 is to promote the safety of the product we drive and the XT is no exception. A 5 star NCAP rating has already been awarded to the car along with a ring Shaped re-inforcement frame for stronger roof ,door, pillars and floor. Front /Side and knee SRS Airbags protect, along with energy absorbing seat springs to reduce whiplash are all well thought out. In the event of a head on coliision the Boxer engine's low position allows the engine to absorb the energy of an impact and is mounted to a strucure which is designed to collapse below the occupants for protection. ABS brakes of course along with Electronic Brake-force distribution ( I now sound like a brochure...sorry about that ) that re-disributes your braking among all 4 wheels dependent on road and weather conditions. Of course a car behaves very differntly in the wet to the dry and I can vouch for the fact, after a rather scary moment late at night coming home from football with my eldest son. A very wet M25 with a Vauxhall Vectra spinning in front of us and our trusty Forester XT able to not only stop and steer but also feel in complet control whilst doing so. Performance not to be ignored I think. This car absolutely feels way more planted on the road especially in poor weather. Its something to do with VDCS so I'm told. It stands for Vehicle Dynamics Control System which is something perhaps the brochure can explain for you about under and oversteer but all I can tell you is that is definately works. I very much enjoyed my time in the Forester XT and was a bit sad to see it go.Take it from me , in this industry we drive literally hundreds of differnt cars a year and to be concerned to change out if this car certainly makes one think about how good the car is. A New Subaru XV is just about to arrive which is a very different car again. I really do have a pretty good job ! Of course, Perkins subaru would love you to experience this super motor car and so here somes the sales bit. You are very welcome to experience this car in our company whenever you feel like changing you current car " That's it ! Hope to meet you at the dealership soon. This car will make you think different about what available choices there are out there in " the car you drive " land. They say that Subaru's products are one of the best kept secrets in the motor industry. It's done on purpose. A niche brand built for individual people with complex lives and a need for moroting satisfaction built on extreme and dymanic engineering. ( That's not from a brochure either) - Oh...here are a few phots of what is available at Perkins Subaru Essex for November 2018.